Alain Gravelle has been in public accounting for over 20 years, providing assurance services to school boards, hospitals, community service organizations and other not-for-profits, as well as for-profit organizations. His clients appreciate his ability to work with and for them, always keeping their end goal in sight. 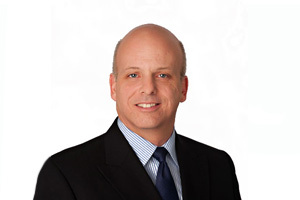 Alain has been with Welch LLP since 1989, starting as a co-op student. He became fulltime and received his CA designation in 1993, after graduating from Brock University, and has been a Partner since 1998. Alain is fully bilingual and works with clients in their language of choice. Alain is a member of the firm’s Executive Committee – a position which encompasses an administrative and strategic planning aspect with respect to the direction and efficiency of our firm. Assurance and accounting with a concentration in the MUSH sector (PSAB). Current – Board member of the Cornwall Community Hospital, Board member and Vice-President of the Caisse Populaire de Cornwall Inc. Previous - Campaign, finance and budget committee chair of the United Way of Cornwall and District; treasurer of the Cornwall and Area Substance Abuse Treatment Centre; President and Treasurer of Open Hands; board member of the local chapter of the Canadian Liver Foundation; member of the VON hospice committee.